Last Friday, I wrote a post about submission and how it affects wives and how the word submission really shouldn’t be considered such a “dirty” word. Today, I am going to continue talking about submission and how it affects everybody, not just wives. 1. Why don’t we rebel against submitting to our bosses and legal authorities? 2. Why do we rebel against submitting to God? God commands us to submit to our leaders. And we do, usually. I realize that everybody is human and at one time or another, they will rebel against the authority in their lives. But, why do we have such a hang up against wives submitting to their husbands, but we don’t have a hang up with employees submitting to their bosses or law-abiding citizens submitting to the police or government? Because we fear the men (and women) in authority over us. We are afraid that we will lose our job if we do not do what the boss tells us to do. We are afraid of going to jail if we break the law’s enforced by the police and made by the politicians. We. Are. Afraid. Why we do rebel against submitting to God? The simple answer: We do not fear God. By fearing God, I do not mean that we should always be afraid of God as in being scared of what He will do to us (unless we are not truly Christians), but rather a fear caused by reverence and awe of His mighty deeds and wonders. God is all-powerful, all-knowing, and everywhere. That is truly awesome, amazing, and worthy of praise. Do you see that? We are to be subject to every human institution, as if God Himself had sent them, “For this is the will of God…”! It is God’s will that we subject ourselves to every human institution. Then Peter says that we are to live as free men, but not to cover up for evil, but rather live as servants to God. How often do we, as Christians, truly do that? How often do you go to work and say as you walk into the office, “Today I am going to work as a servant to God”? How do we even do that? Read verse 17: “Honor everyone. Love the brotherhood [Christians]. Fear God. Honor the emperor.” There it is. Fear God. But why fear God? Because without the fear of God, we cannot truly submit to Him and if we do not submit to God, He will give us over to our own stubborn hearts. (For some further study on the fear of God, you can also look up the following verses in context: Psalm 55:19, Ecclesiastes 12:13, Acts 13:16, Revelation 14:7). To conclude this discussion, I will summarize each point from the two blog posts. We should fear God more than man, but do the opposite. What should we do now? Well, are you a wife? If so, do you submit to your husband? I have heard at least three wives who have said that their marriage was significantly improved when they started submitting to their husbands. Are you a husband? If so, do you love your wife as Christ loves the church? Are you a child still living at home? Do you submit to your parents and the others in authority over you? Are you an adult child still living at home? You also ought to be submitting to your parents and those in authority over you. Are you a single adult? Do you submit to your boss and anyone else who may be in authority over you? 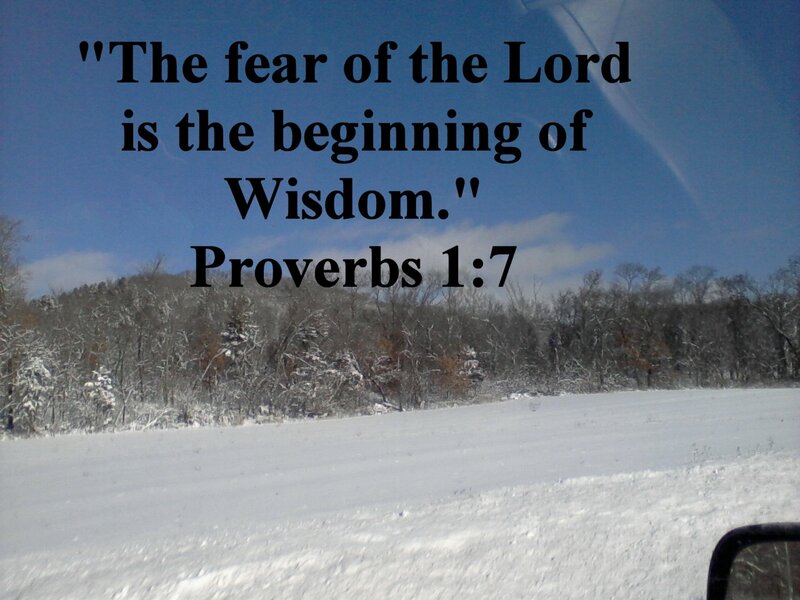 If you are any of the above, do you have a reverential fear of God? 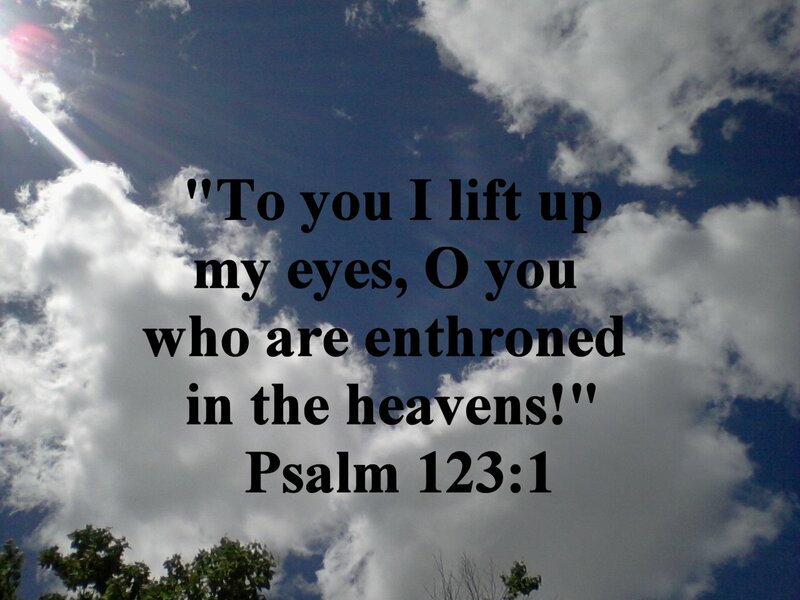 Do you worship Him daily and give Him the praise and adoration He justly deserves? 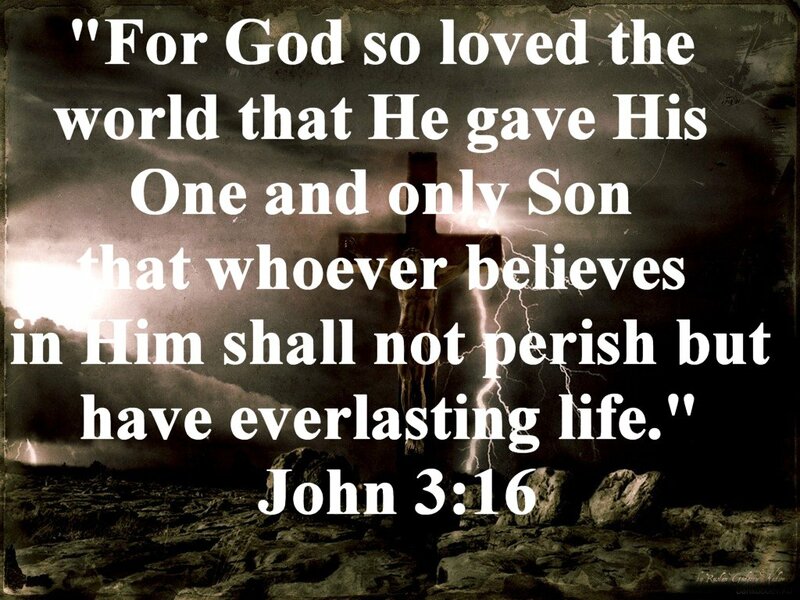 Remember, He created you exactly as you are and loved you so much that He sent His One and only Son to DIE for YOU! Don’t you think He deserves some honor and praise? In relation to the first post, I think the husband has the hardest job. We can discuss something but then he needs to make the decision. It is on his shoulders if it doesn’t work out. It is also to his credit when it does. I don’t need to be responsible either time. It takes the burden away from the wife. That is also part of the curse from the garden of Eden. The woman struggles with wanting to have control. Thank you for sharing, Mom! Would you be comfortable sharing any examples from your own marriage when your husband made a decision and you submitted to him? I understand the concept of it, but I don’t really see how this actually plays out in a marriage. My husband and I agree on things before we make decisions, and if one of us doesn’t feel right about something, then we wait and pray about it until we are both on the same page. Jesus is our leader, and we wait until we have both heard from him. I would never consider it my husband’s fault if something didn’t work out, and he would never take the credit for anything that did. We are one, and we are a team. We work together, and we succeed or fail together. That’s how we do it in our marriage, but I’d be interested in hearing about other views. From what I’ve seen, this topic is discussed a lot, but doesn’t really come into practice in situations. Just wondering if you’d be willing to share any real-life examples of how it did for you. If I were married, I could. Having never been married, I cannot. I could share from my experiences of submitting to my father or possibly from those who I know who are married (with their permission). But, me personally, I cannot share at the present time. One way of submitting is by not arguing with the authority figure. Which can be very hard, especially when you think you know a better way to do it. It’s also important to obey right away (speaking especially of children in the home, but also others) and cheerfully. It makes parents/authorities so happy and makes their day. Thanks for sharing this info, Faith! Very true, Effy. 🙂 Thank you for sharing. But I also forgot to mention that you can discuss without argumentation. It’s a fine line, but one that, when learned is extremely helpful. I was actually wondering if “Mom” had an answer to this, since she seemed to have some experience with it. But thanks for the other comments too. Ah. Okay. I’ll see if she would. Kathryn, I have been thinking about how to reply and keep it short! Impossible but I will try. First of all, we have been married for 26 years and our marriage is very different now than it was in the beginning. I have the gift of administration and he has the gift of helps and he was not a natural leader, so I took charge (by the way, I didn’t see a problem with this). After many years I finally let go of the reins and he is now a fulfilled man who leads all the time. I just had to get out of his way. Discussing everything and coming to a mutual agreement is ideal but not always practical. So you wanted examples. I am very tight with money. If we don’t absolutely need it, I won’t buy it. He is much more free with money. He is also the only one who makes the money so the pressure is on him to make sure we can pay the bills. Do we buy a wood splitter for ourselves or keep borrowing our neighbor’s? Our neighbor does not mind us using his wood splitter and we only use it a couple of weekends a year. It works very well. My husband decided he wanted a new one for us to use. It cost about $800 which to me was too expensive. He went ahead and bought it. We used it for a couple of hours and it had a problem. He called the company and fixed it or replaced the missing/broken part and we would use it for a couple more hours. This happened often. We finally got our supply of wood cut for the winter and hopefully it will work this year when we try to use it again. I admittedly like the neighbor’s splitter better but I do not bug him about it. He wants a splitter, he has a splitter. He feels self-sufficient and like it was a good decision. We still pay all the bills even though he spent $800. Was it a good or bad decision? I don’t know. He thinks it was a good one so that’s okay. Does that help? I can try to come up with more examples if you would like. I actually asked Faith if I should be a guest blogger to answer your question. My husband thinks that this is a good opportunity for me to be a Titus 2 woman. I hope it helps. Thanks for your reply. I really would be interested in hearing from you as a guest blogger. I’m not sure we share the same perspective on everything, but I’m always open to hearing other viewpoints and learning from others’ personal experiences, especially those with long and happy marriages such as yourself. The wood splitter example was a helpful illustration. I’m wondering, though, if there are any examples of him having submitted to you in a similar way, over something that was important to you. Is that sometimes the case, or is it generally just you that submits to him? I’m curious about this, because I’m wondering if the example you gave is just a component of mutual submission (v 21), or if it’s really just you submitting as a wife (v 22). In my own marriage, there have certainly been times when I have submitted to my husband over something that was important to him. However, I also have examples of him submitting to me over some pretty big things. For example, he owned a 4-bedroom house before we were married. He’d bought it before he knew me, but with the intentions of raising a family in it and living there for a long time. When we started dating seriously, I told him I would want us to pick out a house together so that it would feel like “ours” not “his”, and so that we could be debt-free. He wasn’t too happy about that when I first told him how I felt, but when we got engaged we sold it, bought one together, and are now happy owners of a 2-bedroom with no mortgage. It’s ours, it feels like ours, and he admits it was a good decision. Another example–he used to work 11pm-7am, and had no intention or desire to switch shifts. I was not okay with sleeping alone every night as a married woman, and I wasn’t okay with tiptoeing around my own house until 3pm while he slept. He didn’t want to switch to the more busy, stressful 2nd shift, but he did it for me and now says he wouldn’t ever want to give up this regular sleep schedule again. He submitted to me, as I have done to him, as part of the mutual submission that we believe in, and in both cases it turned out for the best. From your perspective, was I wrong to push for these things? Effy mentioned not arguing with an authority figure but rather obeying them, and I suppose what I did could be seen as arguing (assuming we see him as an authority, which neither of us does–we share an egalitarian perspective). I guess all that is to say that I’m still not sold on the idea of wives submitting to husbands–just spouses submitting to each other. Our rule of thumb is basically that whoever cares more gets to make the decision. Probably not a flawless rule, but it seems to work most of the time. Sorry this got so long, but I’m just curious about a few things–from your perspective, was I wrong to do what I did, and would you be willing to share what you would have done in those situations? I would not say that Kevin has ever submitted to me. If so, I would say he gave in to me for the sake of peace. I used to be pretty good at convincing him my way was the right way. Now I would say that he does things for me out of love for me. Most of my examples come from kitchen appliances. Those are my expensive toys. He sees that we need something either because someone mentions it or it breaks. A couple of times he has surprised me with getting an expensive appliance with his Visa points. Sometimes he asks my advice about what to get but he has just done it once or twice as well. It wasn’t that I asked him for it or cajoled him. It was done out of love to meet a need. Your examples I would say were done out of love and respect for you, not out of submission. Maybe it is just a play on words but there can definitely be a difference. As your circumstances change and you get older I think you will see the difference. God calls us women to submission. Not the men. The men are to lay down their lives (protect us and provide for us) and we are to respect his choices. He may not even ask us our opinion but just go ahead with the decision. As his wife we need to be okay with that. He thrives on respect and when we don’t submit he doesn’t feel respected. I will close with this somewhat funny story. It probably shows our love for each other more than submission but I like the story so I will throw it in. For our 6th anniversary we both surprised each other. I kidnapped him from work on Friday and had a bed and breakfast reserved for the night. He had gotten free tickets to the community theater for Saturday night. We both managed to pull off the surprise for each other and we got practically the whole weekend alone. It is the most memorable time we have had together. If you wish to continue this discussion I am willing to. I am having a really hard time coming up with examples for some reason. I’ll keep thinking and praying about it. I just had another thought. When you start questioning what your husband is doing, it is not submitting. I really struggle with that. I have my mental list of things that I think he should be doing and he isn’t doing it but goofing off instead. Then I get angry. I can’t run his life. He needs to do what he thinks he needs to do not what I think he needs to do. That is when need to show respect for him and submit to his choices. Like I commented to Faith on part one of this blog post, verse 21 says to submit to one another (and I question whether “submit” was the most accurate way to translate that thought—but that’s another discussion). There is no distinction between men and women, or husbands and wives. I believe that alone is grounds enough to say that at times, husbands should submit to wives. If we are to say that men don’t submit to women, then what does this verse mean, and why did Paul include it? My husband openly admits that he submits to me sometimes, and that he believes in mutual submission in marriage. Another thought–in each of the instances that the New Testament tells wives to submit to their husbands, there is also a part in the nearby text that tells slaves to submit to their masters. These verses were used and abused to justify slavery in America, and finally now today, we have stopped taking them at face value and usually apply them in an employee/employer context. One question I have always had—why do we admit that the verses on slavery don’t have the same literal meanings due to cultural context, and yet just a few verses later, we don’t acknowledge that our culture has changed significantly in the direction of equality, and therefore our application of the verses on marriage might have changed? Saying that might make me sound like a heretic, but there are other verses that we have no problem doing this with—like the verses telling women not to braid their hair, and to wear head coverings. We don’t follow those verses literally anymore, because the culture has changed. One of my favorite bloggers covers this thought in-depth at her blog in a 5-part series: http://rachelheldevans.com/blog/?category=Submission+Series (under the “Submit One To Another Series”). She has done even more extensive research than me on this topic, and has put it all into words better than I could, so I’m just adding the link in hopes that you’ll read it. There’s more information there than I could do justice to in a reply. I guess there’s one more thing that I think is important. In Genesis 3:16b, the Bible says, “Your desire shall be for your husband [you’ll want to rule him] and he shall rule over you.” Usually, I see these verses taught to say that it’s wrong for women to want to rule their husbands, which is true. That desire is a result of sin. But the way I see it, so is the second part. The words “he shall rule over you” are part of the same curse—they’re not the way things are supposed to be, they’re the way things were after sin. I have often seen these verses used to justify male authority, but I don’t understand how. To me, these verses clearly say that it’s wrong for both husbands and wives to want to rule each other. Why do we seem to condemn the first half but embrace the second half if the entire verse is part of a curse? Why aren’t we instead trying to get things back to the way they were before the curse? Not something we can do completely on this side of heaven, but I think where it’s possible, we should be taking steps towards it. The way I interpret this verse tells me that the only way to do that is to avoid ruling on either side. Neither should rule the other, but they should live as one, as equals, by mutually submitting to one another.